Reba celebrated her 35th No. 1 single, “Turn on the Radio,” at a VIP industry party at Starstruck Entertainment in Nashville on Monday (4/18). The song, written by Cherie Oakley, Mark Oakley and JD Twang, and produced by Dann Huff, also marks Reba’s 60th Top 10 hit. 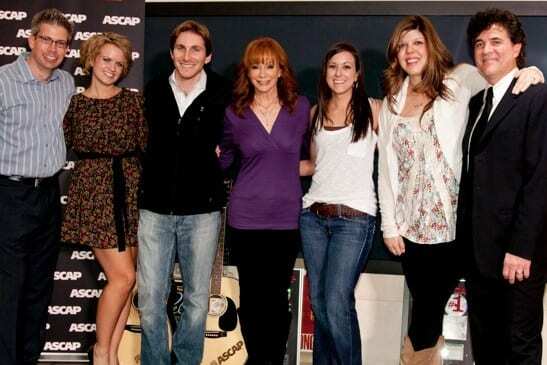 MusicRow presented Reba with a plaque marking her two-week run at No. 1 on MusicRow’s Country Breakout Chart. 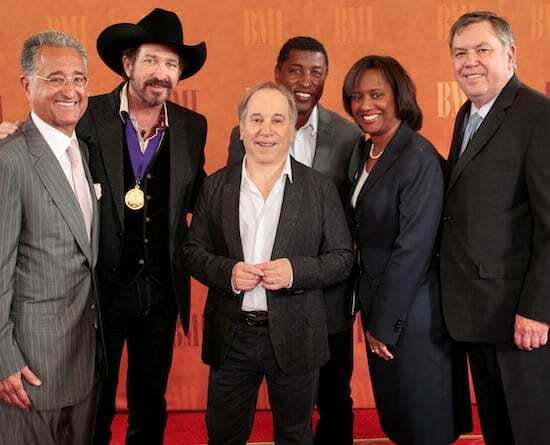 The BMI Board of Directors honored Paul Simon at its annual dinner during the National Association of Broadcasters convention in Las Vegas. BMI Board Chair Jack Sander and BMI President & CEO Del Bryant presented a special citation to Simon, commemorating the more than 100 million performances of his songs on U.S. radio and TV. Special songwriter guests in attendance included Kix Brooks, Kenneth “Babyface” Edmonds, and Kara DioGuardi.